This blue packing tape is perfect for carton sealing, particularly when you want to identify your items whilst in storage or removals. Thanks to its strong and reliable adhesive, it sticks easily to smooth, clean surfaces such as cartons, paper and boards. Not what you're looking for? To view our full range of coloured tapes click here. Our blue packing tape makes easy work of colour coding removal or storage boxes making their contents easily identifiable. 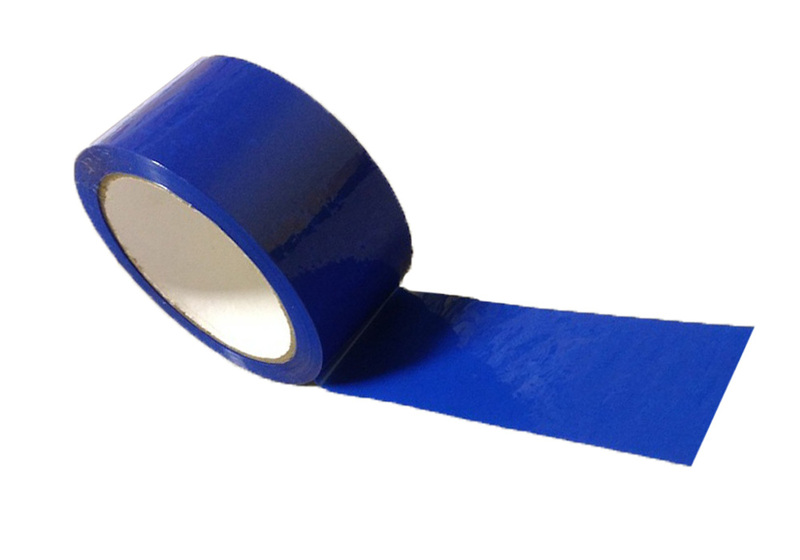 Often used in warehouses for colour coding when packaging or stock taking, our coloured tape is also a really handy choice if you are moving home. Use red tape for boxes containing kitchen goods, yellow tape for bathroom goods, and blue tape for your son’s room as some examples. In fact, our blue tape is so versatile and can be used for such a vast range of everyday uses in businesses or at home. Use to seal cardboard boxes, wrapping, mark walls or even craft projects. Made from top quality polypropylene with a strong adhesive our blue tape supplied in a convenient pack of 6, provides an all-round, versatile labelling and packing solution.